So you’ve been told you need to have a tooth extracted. Going through this treatment may even sound appealing if you’ve been suffering from tooth pain. But the team at our dental office in Asheville wants you to know that you may have another option available. If you ask the general population what the worst dental treatment is, we’re willing to bet most of them would say a root canal. But that claim is outdated and simply no longer true. Advanced dental technology makes root canal treatment incredibly comfortable. 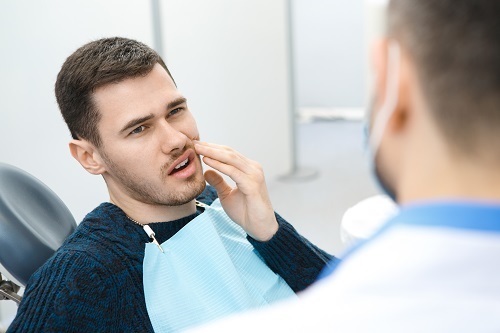 During a root canal, your dentist in Asheville will numb the area, make a teeny hole in the infected tooth, and remove any infected material lurking inside the tooth. Afterward, a dental crown caps the tooth. While the treatment itself may seem scary, it actually allows for almost immediate pain relief. Our Asheville dental office is committed to preventing the need for advanced dental treatment such as a root canal or extraction. Part of what allows us to do that is making sure we see you twice a year for a dental checkup. These visits allow us to check for any new decay and treat it before it has a chance to affect deep into the tooth.